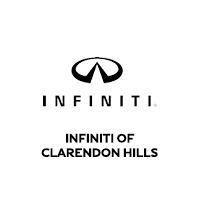 Elmhurst area car shoppers can turn to INFINITI of Clarendon Hills for their next new purchase. We offer a variety of brand new models in stock, like the popular INFINITI Q50 to the top-rated QX80. If you're ready to take your Downers Grove commute to new levels, it's time to stop by INFINITI of Clarendon Hills to peruse the INFINITI models for sale in Clarendon Hills! Why Purchase a New INFINITI from INFINITI of Clarendon Hills? Our friendly and knowledgable sales team is here to help find your dream vehicle, and create a financial plan that suits your budget the best. We'll make sure your car buying experience is completely enjoyable. Contact us today with questions or to schedule a test drive.